This recipe was my reward for taking the time to organize a big folder of loose recipe clippings. 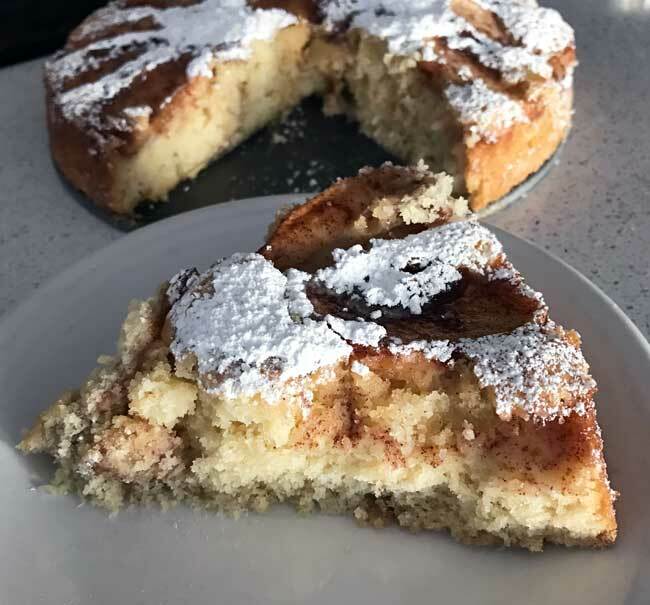 It’s for Swedish Apple Cake — or better yet, Chef Marcus Samuelsson’s Swedish Apple Cake. The recipe is from a clipping out of House Beautiful. A friend gave it to me in 2016, and I’d planned on making it soon thereafter, but it got lost in the shuffle. Anyhow, I’m so glad I found the recipe because I now have two great Swedish cakes in my repertoire. The Tosca Cake, which is topped with almonds, and this cake topped with and filled with fresh apples. 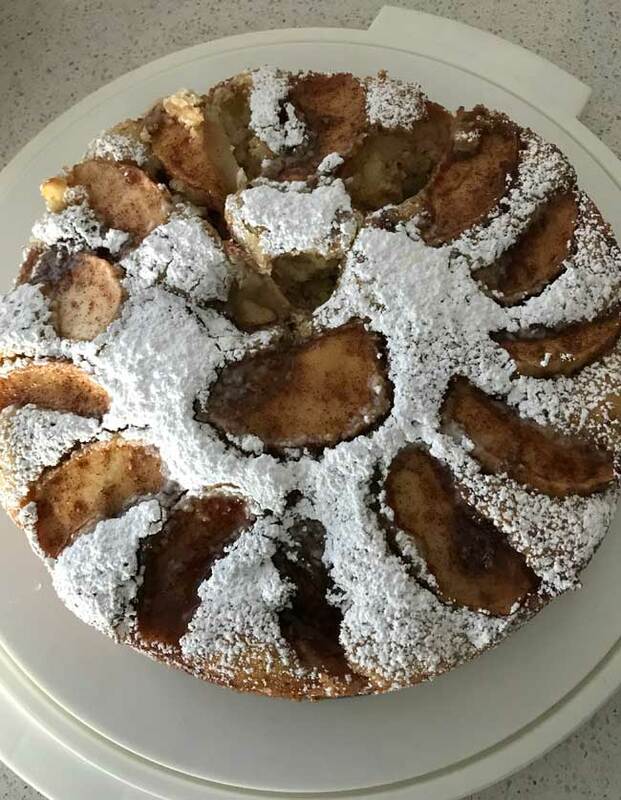 Like the Tosca Cake, the Swedish Apple Cake is baked in a 9 inch round cake pan. It’s a pleasure to make, from sifting the flour to peeling the two big apples. Here’s what it looked like before going in the oven. And here it is right after it came out! The top photo shows it dusted with sugar, but after sitting for an hour some of the sugar sank around the apples changing the appearance. In the magazine article Marcus Samuelsson says his mother used to keep one of these cakes in the refrigerator and one in the freezer, so this one will go in the freezer for now. Preheat oven to 350 degrees F. Grease a 9 inch round springform pan very generously with butter, then coat with breadcrumbs. Mix together the granulated and brown sugar and set aside. Peel and core the apples, then slice one apple into 16 wedges. 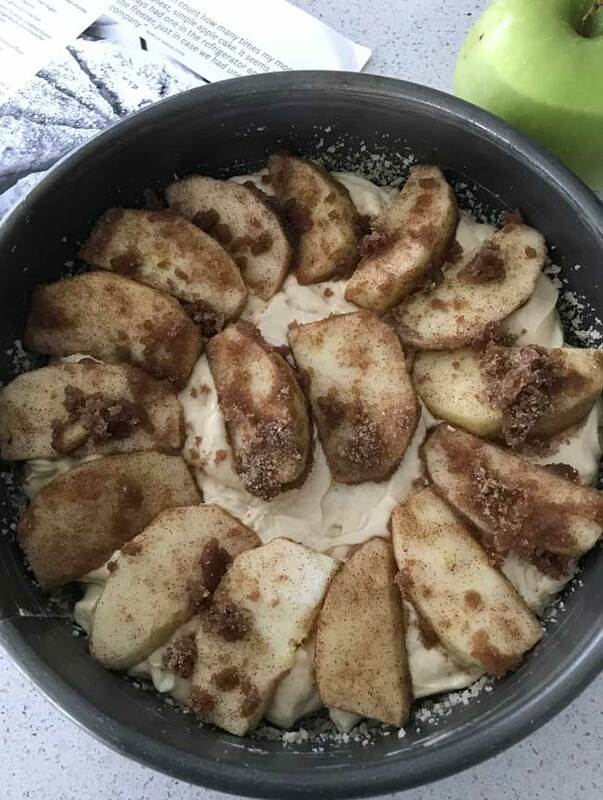 Toss the apples with 1/3 cup of sugar mixture and the cinnamon. Dice the remaining apple. If the second apple is very large you can use all of it or measure out 1/2 cup chopped. In the bowl of a stand mixer fitted with the paddle, beat the butter and remaining brown sugar mixture until light, creamy and fluffy. Add the egg and mix just until blended, then reduce speed of mixer and add the vanilla. Add the flour mixture and the half & half alternately, stirring until well blended, then stir in the chopped apples. Pour batter in the pan and spread evenly. 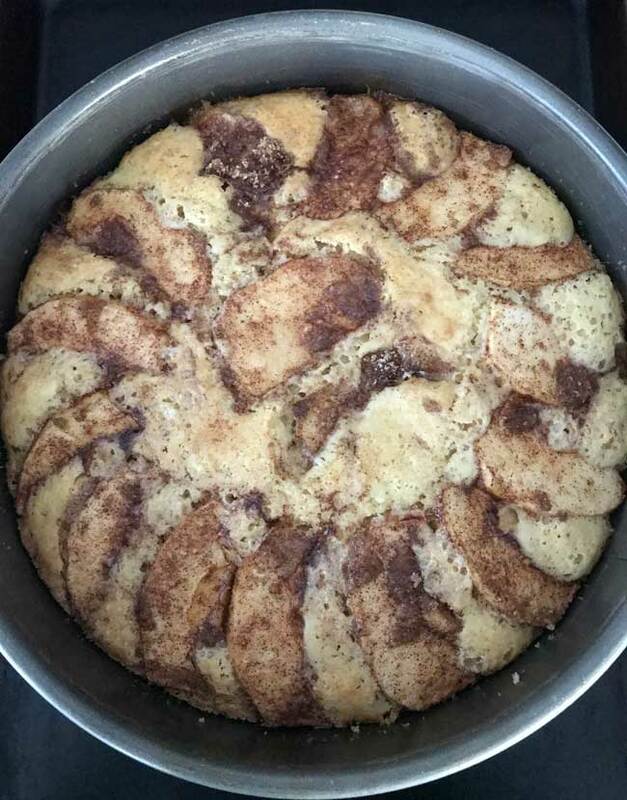 Arrange 14 apples slices around the outer edge of the pan and place the two remaining wedges in the enter. Bake for 35 to 40 minutes. 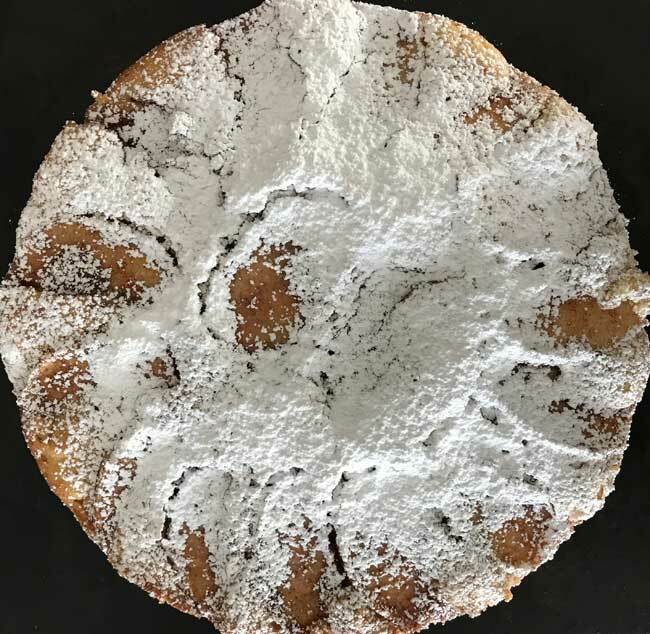 When the cake is cool, dust it generously with powdered sugar (confectioners' sugar). The original recipe did not call for salt and used unsalted butter. I like a little extra salt, so rather than add salt I just used salted butter. I also added the vanilla, so feel free to leave it out. What coincidence. Last night I was explaining to my husband who Marcus Samuelsson is. I would love to try this cake.